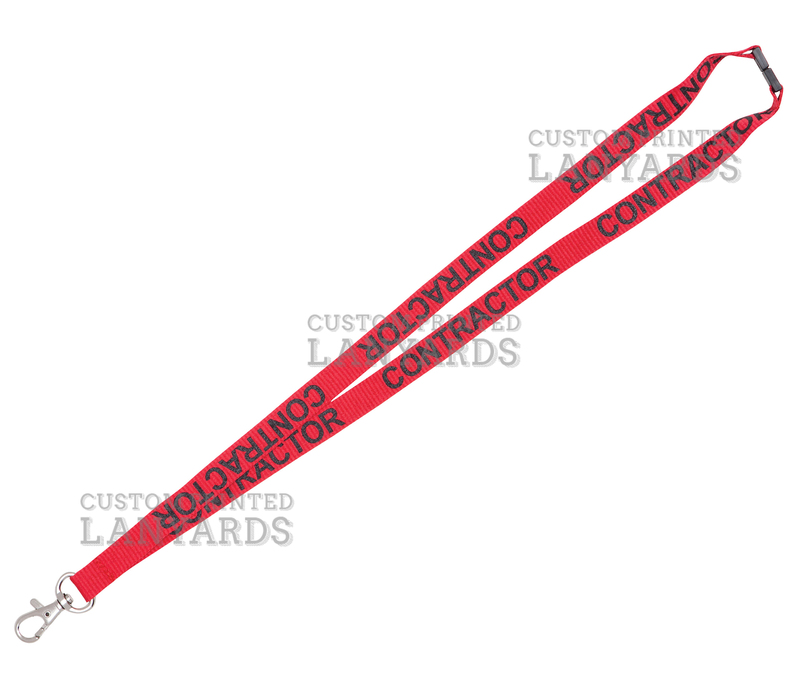 Contractor Lanyards have the words Contractor repeat printed around the lanyard to ensure you can identify people on site. Ideal for building sites or where you have worked contracted out, they come with a deluxe swivel for attaching ID cards and a safety breakaway for OHS purposes. They are 15mm wide and made from polyester material, so they are not scratchy on the back of the neck. We carry these in stock so they are ready for same day shipping.